NC State’s 2017-2022 Sustainability Strategic Plan is a five-year roadmap that builds upon the university’s strengths, momentum, and decades of sustainability progress. The campus-wide Sustainability Council and its working groups – with extensive involvement from the university community – developed the Sustainability Strategic Plan. The plan has been endorsed at the highest levels of university leadership and is in effect from July 1, 2017, through June 30, 2022. NC State develops leaders and innovations that create a more sustainable world. Engaging campus and community in creating a more sustainable future. Student Leadership: Engage students in initiatives that promote leadership and service in sustainability. Academics: Integrate sustainability into education, experiences, and research. Operations, Planning and Design: Model sustainability through efficient, innovative facilities and operations that educate the campus community and improve the quality of life. Community and Culture: Accelerate a culture of sustainability, inclusivity, and well-being on campus and in the community. Communications: Propel awareness and sustainability at and beyond NC State. Our communities, state, nation, and world face increasingly complex challenges that impact our environment, our economy, and our society. Successful sustainability pursues balanced, ethical solutions that are economically viable, environmentally sound, and socially just so that current and future generations may thrive. The environment was the primary focus of NC State’s early sustainability efforts. In the development of this strategic plan, the university community expressed a desire to broaden NC State’s scope of sustainability to include economic and social dimensions that address complex challenges such as human health and well-being, poverty, equity, and justice. Implementing the strategic plan provides opportunities to demonstrate the tradeoffs inherent with making sustainable decisions. With this multidimensional approach, NC State will engage campus and community in creating a more sustainable future. There are unprecedented challenges facing our increasingly connected world, and sustainability leaders and innovations have never been more vital. Institutions of higher education are crucial to preparing graduates equipped to lead, to serve, and to solve complex social, environmental, and economic problems. Through implementation of the Sustainability Strategic Plan, sustainability will be integrated into NC State’s education, experiences, and research. More NC State students will be engaged in initiatives that promote leadership and service in sustainability. Campus will model sustainability through efficient, innovative facilities and operations that educate the campus community and improve quality of life. A culture of sustainability, inclusivity, and well-being will be accelerated on campus and in the community. These initiatives, plus active communication efforts, will propel sustainability at and beyond NC State. NC State will emerge by 2022 as one the nation’s leading universities for sustainability education, operations, and engagement. This plan builds on decades of progress that has established NC State as a sustainability leader. The university is a frequent recipient of local, regional, and national sustainability honors, including the 2016 achievement of a Gold rating in the Sustainability Tracking Assessment and Rating System (STARS) offered through the Association for the Advancement of Sustainability in Higher Education (AASHE). Much of this progress was catalyzed by the university’s inaugural Sustainability Strategic Plan (2011-2016) led by the university-wide Campus Environmental Sustainability Team (CEST). 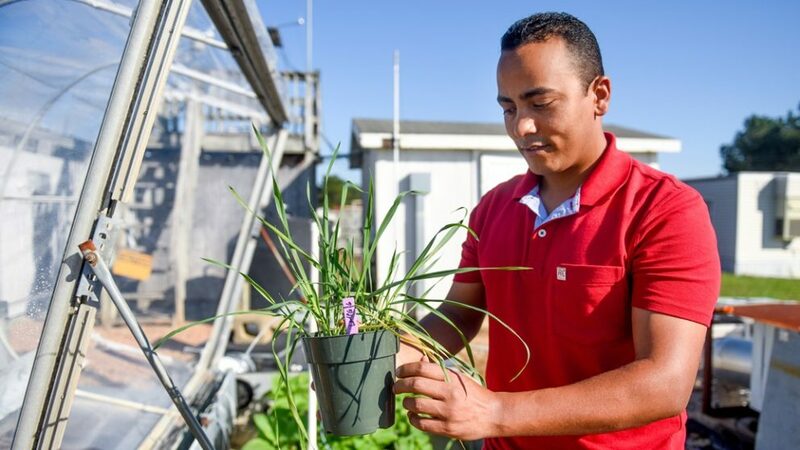 Innovations in energy, water, transportation, purchasing, waste reduction, land use, and buildings created ongoing opportunities for campus to become a living classroom, where NC State students learn and conduct research. These advances solidified the university’s sustainability commitment, leading to the adoption of a University Sustainability Policy in 2014. NC State began developing the 2017-2022 Sustainability Strategic Plan in 2015 under the leadership of the Sustainability Council. 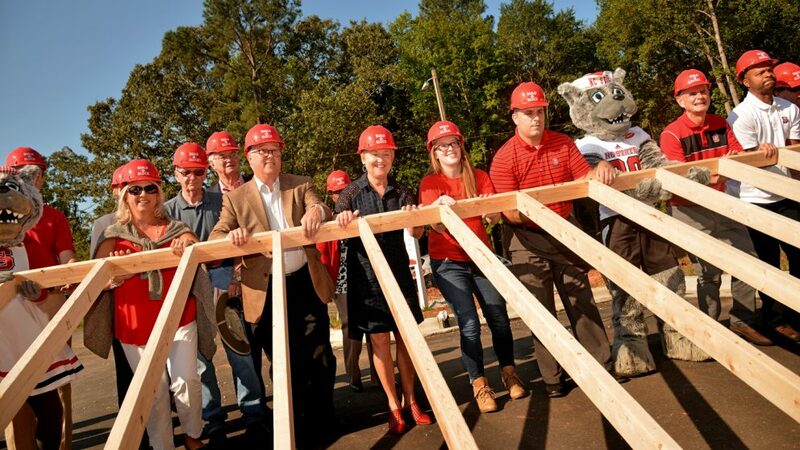 September 2015: The Provost and Vice Chancellor for Finance and Administration established the Sustainability Council to lead development and implementation of NC State’s second Sustainability Strategic Plan. September – December 2016: Campus and community members provided feedback on the draft plan. The Sustainability Council steering committee evaluated all comments and incorporated common themes. Spring 2017: The plan was finalized and approved by university administration. July 1, 2017 – June 30, 2022: Implementation of the plan. 1. Enhance the success of our students through educational innovation. 2. Enhance scholarship and research by investing in faculty and infrastructure. 3. Enhance interdisciplinary scholarship to address the grand challenges of society. 4. Enhance organizational excellence by creating a culture of constant improvement. 5. Enhance local and global engagement through focused strategic partnerships. Each fiscal year, the Sustainability Council’s five working groups will create and implement annual tactics to drive progress toward the plan’s goals, strategies, and objectives. Tactics will be created based on feasibility, cost and potential impact to ensure sound stewardship of the university’s resources. Working groups meet regularly and welcome participation from anyone on campus or in the community. Each working group has a chairperson(s) who leads the group and is part of the Sustainability Council’s steering committee. Each working group has been assigned a specific goal, and collaboration across working groups is vital as the plan’s five major goals are interdependent. Success in one area can springboard success in another, and the Sustainability Council’s steering committee will create mechanisms for regular communication among working groups. In some cases, multiple working groups are pursuing similar strategies, making collaboration even more crucial. Working groups will track both quantitative and qualitative measures of progress, which will be monitored through the university’s Annual Sustainability Report, published during the fall semester. Engage students in initiatives that promote leadership and service in sustainability. Enhancing student success is one of NC State’s foundational goals, and that success extends beyond the classroom. Sustainability provides an ideal backdrop for creation of high-impact educational experiences that reinforce academic excellence, while equipping students to serve and to lead. These efforts help develop successful NC State graduates who are well prepared for impactful careers and lives. Sustainability strategies in Student Leadership contribute to fulfilling the university’s strategic goal of enhancing the success of our students through educational innovation. Help advance these goals by joining the Sustainability Council's Student Leadership Working Group. The following strategies and objectives support the Student Leadership goal. Specific tactics that are being implemented during fiscal year 2018 (July 1, 2017 – June 30, 2018) are also listed. Strategy 1: Increase student involvement with high-impact, co-curricular experiences in sustainability. A. Increase student engagement in sustainability-focused student trips. Tactic: Define what qualifies as sustainability-focused student trip. Tactic: Create an inventory of existing university-related trips that are sustainability-focused. Tactic: Perform a needs assessment of existing sustainability-focused student trips. B. 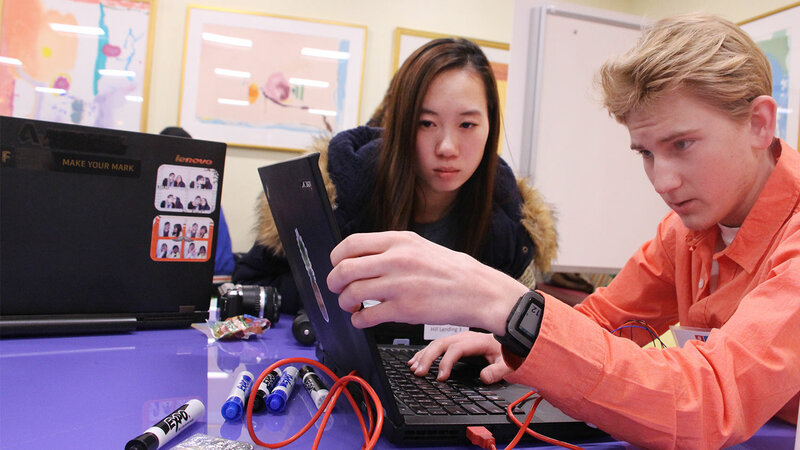 Expand sustainability-related competitions for students. Tactic: Continue offering Make-A-Thon as an annual student sustainability competition on campus. C. Increase the diversity and number of student organizations engaged in sustainability initiatives, events, and programming. Tactic: Define incentives that will encourage additional student organizations to become more sustainable. Tactic: Work with Student Involvement to add “sustainability” as a category for student organizations to self-select. Tactic: Utilize Student Government’s Sustainability Department to distribute information to student body. D. Engage more students in sustainability-related service learning and community service. E. Increase the resources and support available for sustainability-related student organizations. Tactic: Establish connection with Union Activities Board (UAB) to encourage sustainable event planning. Tactic: Create sustainability resources to be distributed to student organizations and staff/faculty advisors. Tactic: Train students to support organizations pursuing sustainable events certification. F. Develop a sustainability co-curriculum. Tactic: Create a committee to design Student Sustainability Co-curricular Leadership recognition. Strategy 2: Expand sustainability training and outreach for students. A. Create a sustainability workshop series that contributes toward student leadership development. Tactic: Student Sustainability Co-Curricular Leadership Award Committee will evaluate current leadership workshops that are available and decide on the topics that need to be created for workshops. B. Include sustainability education in New Student Programs, University Housing, University and college ambassadors, and Fraternity and Sorority Life. Tactic: Provide sustainability training to New Student Orientation Leaders. Tactic: Encourage new students to continue using the reusable bags and bottles they receive at New Student Orientation. Tactic: Promote programs/events that connect sustainability to the Common Reading Program. Tactic: Certify Convocation events as sustainable. Tactic: Provide sustainability information for RA’s to include in their hall meeting in August. Tactic: Present sustainability information focused on residence halls to Inter-Residence Hall Council. Tactic: Recognize the Most Sustainable Chapter award winner at Fraternity and Sorority Life’s Order of Omega Awards. Tactic: Add sustainable event certification to Fraternity and Sorority Life’s Event Management Page. Tactic: Include Sustainable Event Certification link on Fraternity and Sorority Life’s Event Management website. Tactic: Increase sustainability efforts during Fraternity and Sorority Life’s Panhellenic and IFC recruitment. Tactic: Provide sustainability training to Fraternity and Sorority Life’s tailgating committee/IFC. Tactic: Edit Fraternity and Sorority Life’s Standards evaluation sheet to include a sustainability section. Integrate sustainability into education, experiences, and research. Society’s grand challenges require leaders who can recognize complexities and create innovative solutions to sustainability challenges. Sustainability experiences inside and outside the classroom contribute to NC State’s first priority: enhancing student success and equipping students for impactful careers and lives. Sustainability bridges academic disciplines and transcends their boundaries, bringing together the varied skills and diverse perspectives required to tackle complex challenges. Sustainability is a fundamental perspective for enhancing the critical and creative thinking that NC State fosters in students. Sustainability is already present in many academic programs and co-curricular activities. There is opportunity for more robust integration of sustainability so that NC State becomes the first choice for incoming students who seek to create a more sustainable future. Campus-wide coordination of sustainability programs will ensure that every student has access to sustainability-related learning experiences. A multidisciplinary emphasis will lead to more sustainability-related research breakthroughs at NC State. Academic sustainability goals contribute to the university’s first strategic goal of enhancing the success of our students through educational innovation, the second strategic goal of enhancing scholarship and research by investing in faculty and infrastructure, and the third strategic goal of enhancing interdisciplinary scholarship to address the grand challenges of society. Sustainability research discoveries, real-world learning, and extension also contribute toward additional university goals to enhance organizational excellence and community engagement. Help advance these goals by joining the Sustainability Council's Academics Working Group. The following strategies and objectives support the Academics goal. Specific tactics that are being implemented during fiscal year 2018 (July 1, 2017 – June 30, 2018) are also listed. Strategy 1: Enhance cohesion among academic programs that address sustainability. A. Establish and support an administrative framework that coordinates academic sustainability programs. Tactic: Establish the position of an academic sustainability coordinator to provide the needed leadership and coordination. Tactic: Understand how the University Sustainability Office best supports progress in academic sustainability collaboration. Strategy 2: Ensure that every NC State undergraduate student engages in coursework with critical and creative thinking and substantive learning outcomes focused on sustainability. A. Develop a sustainability general education program (GEP) category or group of classes. B. Develop a coordinated NC State annual sustainability theme to be incorporated into the curriculum. Tactic: Coordinate with Housing and Living and Learning Villages to include sustainability-related academic activities into their schedule of events as well as connect with faculty engaged in sustainability-related scholarship. Strategy 3: Facilitate opportunities for NC State students to participate in high-impact academic experiences in sustainability. A. Provide students with sustainability-related professional development opportunities. B. Better coordinate and communicate high-impact academic opportunities focused on sustainability. Tactic: Identify and promote existing programs where there are sustainability engagement opportunities beyond the typical classroom experience. C. Create team-taught courses or seminars focused on current sustainability issues. Tactic: Develop criteria for identifying existing courses that would qualify as team-taught courses or seminars focused on current sustainability issues. Tactic: Establish a process outline for co-teaching sustainability-related courses across colleges. Tactic: Advocate for funding of team-taught, sustainability-related courses. Strategy 4: Increase the demographic and disciplinary diversity of the NC State community engaged in sustainability academics. A. Create diversity through high school recruiting into sustainability-oriented academic programs, with a focus on attracting students from groups traditionally underrepresented in such programs. B. Continue to develop courses and course modules in environmental justice and equity. C. Partner with regional minority-serving institutions in student service and action research projects. D. Foster the development of multidisciplinary scholarship and research by faculty focused on sustainability. E. Support and reward faculty in developing and teaching multidisciplinary courses that address sustainability across departments and colleges. Strategy 5: Establish NC State as an institution that develops sustainability stewards and leaders. A. Engage faculty and students from across the university with real-world, community-identified projects to meet the partnering community’s sustainability priorities. B. Develop a sustainability leadership certificate. Strategy 6: Establish NC State as the first choice for prospective students committed to sustainability. A. Engage with high school faculty/administration and students about sustainability education and programming at NC State. Strategy 7: Engage external stakeholders in supporting NC State’s academics sustainability initiatives. A. Bring external stakeholders to campus for sustainability activities and programs, such as presenting lectures and seminars, advising students and faculty engaged in sustainability projects, judging student presentations and posters in classes, and campus research events. Strategy 8: Establish new sustainability student scholarships and fellowships. A. Create a funding program to which student teams can apply for support for sustainability research. Strategy 9: Increase the university’s profile in sustainability-related research. A. Solicit external funds for research seed funding in sustainability. Tactic: Solicit undergraduate student research funds focused on sustainability. Tactic: Coordinate with the Office of Research, Innovation and Economic Development on corporate, crowd-sourced or foundation development of sustainability-related research. Tactic: Explore with Poole College of Management whether there is an opportunity for coordination across campus to engage with the Business Sustainability Collaborative. Model sustainability through efficient, innovative facilities and operations that educate the campus community and improve the quality of life. A university campus has more value than ever as a place for real-world learning in today’s technology-rich world. The university’s role is to teach, showcase, and challenge our community’s understanding of the complex cost and benefit tradeoffs associated with decisions. When NC State minimizes environmental impacts in our community, state, and world and models best practices in areas including energy, water, air quality, waste reduction, purchasing, computing, and food, it improves the sustainable quality of life on campus. NC State practices what it teaches, creating a campus community that values stewardship, embodies excellence, and enhances quality of life. The university’s simultaneous pursuit of environmental, economic, and social sustainability demonstrates the leadership required to address society’s grand challenges. Operations, Planning, and Design sustainability strategies contribute toward the university’s fourth strategic goal of enhancing organizational excellence by creating a culture of constant improvement. Help advance these goals by joining the Sustainability Council's Operations, Planning and Design Working Group. Strategy 1: Reduce NC State’s total greenhouse gas emissions by 25 percent from the 2008 baseline. Tactic: Complete the next Greenhouse Gas Inventory based on the 2016-2017 fiscal year. Tactic: Implement Combined Heat and Power project on Centennial Campus to produce electricity and steam on campus from natural gas. Strategy 2: Reduce existing building annual energy use per square foot by 40 percent from the 2002 baseline. Tactic: Revise the Energy Management Action Plan to prioritize activities toward this goal over the next five years. A. Optimize building energy usage through retro-commissioning, continuous commissioning, and occupant education. Tactic: Set Energy Use Intensity (EUI) target for all new capital projects in Project Scope Statement. Tactic: Require Building Envelope Commissioning in new capital projects (should be budgeted during planning and prior to request for funds). Tactic: Implement predictive maintenance program for research buildings (oil analysis, vibration analysis, laser alignment for pumps, motors, etc. for critical equipment). Tactic: Use a phased approach to switching air handler unit (AHU) filter media to new technology to reduce energy, labor and filter media waste. B. Explore and develop best practices for intelligent infrastructure and energy generation use in campus buildings. C. Reduce energy use within the five Central Utility Plants by 5 percent from the 2015 baseline. Strategy 3: Expand the amount of renewable energy used to meet NC State’s needs. Tactic: Research large scale renewable energy options available within NC utility regulations. Strategy 4: Reduce campus water consumption by 65 percent from the 2001 baseline. A. Expand the use of reuse (reclaimed or non-potable) water on campus. B. Reduce water use in campus buildings. C. Implement landscaping that reduces potable water consumption. Strategy 5: Enhance and coordinate stormwater efforts to ensure water quality for the university’s growing campus. A. Develop a master plan for providing watershed-based regional stormwater treatment for new and future development and retrofits. B. Improve the stormwater control measure program by providing feedback on devices under construction and involving students in ongoing water quality monitoring. Tactic: Implement a Grounds staff inspection for construction of Stormwater Control Measures (evaluate if this could be added to Capital Project Management procedures). Tactic: Evaluate implementing a student volunteer monitoring program within the Stormwater Program. Strategy 6: Reduce single-occupancy vehicles on campus by 5 percent for employees and 7 percent for students from the 2015 baseline. A. Renew NC State’s designation as a Bicycle Friendly University. B. Enhance Wolfline bus system service delivery in order to build annual ridership to 3.5 million by 2022. Tactic: Implement reverse route for Wolfline route 7. Tactic: Construct Wolf Village transit hub to increase bus rider safety and convenience. Tactic: Reroute Wolfline route 3 to have a more direct and frequent service to Engineering and Oval Buildings. C. Increase and enhance campus walkability by realizing a 2.5 percent increase in intra-campus walking travelers from the 2015 baseline. Tactic: Implement pedestrian infrastructure improvement along Morril Dr.
D. Increase student and employee use of carpooling by 3 percent over the 2015 baseline. Tactic: Implement a more aggressive and widespread carpool advertising campaign. E. Promote alternative fuel usage for commuting by aiming for 0.5 percent of permitted vehicles to hold an electric vehicle (EV) permit by 2022. Tactic: Replace remaining old PEP electric vehicle charging stations with new Charge Point stations to enable better performance metric reporting capabilities. Tactic: Implement updates to the Transportation Master Plan. F. Work with community partners to make data-driven decisions about alternate transportation modes. Strategy 7: Reduce the consumption of and demand for petroleum products in the university fleet. A. Create a baseline for university-wide fleet metrics. Tactic: Gain support/authority for administrative consolidation of university fleet. Strategy 8: Achieve a 70 percent landfill diversion rate from the 2006 baseline toward zero waste. A. Complete and communicate a Zero Waste Management Plan that will guide the vision for zero waste management practices, define meaningful targets, and address education and research needs. Tactic: Identify key campus and industry partners that have direct impact on Zero Waste Management strategies. Tactic: Finalize plan, publish, communicate, and get support for a Zero Waste Plan. Tactic: Update and streamline Reuse, Recycling, and Hazardous Waste section of Design & Construction Guidelines. B. Utilize the 2015 Waste Characterization Study to develop focused educational and training plans that will reduce the amount of recyclable material from entering the campus waste stream. Tactic: Develop a Zero Waste Training Module for each department that handles waste that is introduced to all operational staff. C. Develop a robust campus-wide, on-site composting program that creates a closed-loop system for food waste generated on campus. Tactic: Expand paper towel composting as a simple and effective way to introduce people to composting. Tactic: Expand Zero Waste Workplace program. D. Develop a comprehensive reuse program to capture constuction, office, departmental supplies, and donations from the campus. Tactic: Work with NC State Surplus and State Surplus to identify materials currently being sent to the landfill that can be diverted through either of these Surplus entities. Tactic: Develop a legal agreement between the University and multiple non-profit organizations to allow the disposition of University material that is bound for the landfill. Strategy 9: Implement source reduction and environmentally-preferable purchasing initiatives to decrease waste before it occurs. A. Create a sustainable purchasing initiative with experts to guide waste diversion and sustainable sourcing. B. Instill the values of total cost of ownership and total life cycle cost in purchasing and decision-making. C. Develop a system to track and quantify sustainable purchases from MarketPlace, the university’s material management and purchasing system and in large bids and contracts. Tactic: Highlight sustainable items on the Marketplace purchasing system. D. Develop incentives for making environmentally sound purchases for externally-funded research projects. Strategy 10: Exemplify a sustainable food system from origin to plate by adding capacity to grow food on campus land for campus dining facilities. A. Increase production to more than 7,000 pounds per year at the Agroecology Education Farm in year one and a 10 percent increase in each subsequent year. Tactic: Utilize the currently constructed Agroecology Farm high tunnel to promote season extension and create additional poundage of produce. B. Introduce culinary gardens accessible to campus chefs for incorporating ingredients into meals. C. Increase NC State’s use of North Carolina produce by 20 percent from the 2013 baseline. Tactic: Work with US Foods to bring in produce from local farms in the month of June through September. D. Further promote the availability and benefits of healthy food. E. Increase NC State’s Dining use of North Carolina local food from 27% to 30%. Tactic: Define what NC State designates as local to a 300-mile radius to include most of South Carolina and Virginia. Tactic: Identify local companies from which NC State can purchase that meet our local food perimeters. Strategy 11: Continue to raise awareness for Socially Responsible Investing (SRI) and Environmental, Social and Governance (ESG) investing. A. Expand investment strategies as NC State’s SRI Fund assets continue to grow. Tactic: Proactively research the due diligence on fund managers for the remaining Park Foundation donation. Tactic: Identify the steps to achieve offering another option for philanthropic/impact fund to the university’s donors and constituent institution. Tactic: Explore options to further fund sustainability through purchases made at NC State Bookstores. B. Offer another option for philanthropic funds to the university’s alumni and for other donors. Strategy 12: Utilize information technology to reduce resource use across campus. A. Increase on-campus partnerships to help students, faculty, and staff reduce use of paper by increasing digitization. Tactic: Extend OnBase Document Management System implementations for document retention, efficiency (workflow), storage savings and ease of document search/retrieval to: Human Resources, College of Agriculture and Life Sciences Advancement Office and Dean’s Office, College of Management Dean’s Office, College of Psychology Dean’s Office, Foundations Accounting. Tactic: Implement two PCard enhancements by integrating with the OnBase Document Management System to allow cardholders to directly upload receipts and monthly statements to reduce printing across campus. Tactic: Implement Absence Management within the Human Resources System to eliminate the signed paper copies of leave records. Tactic: Expand the required training system, REPORTER, to all units providing required training to minimize paper records and reduce record keeping duplication. Tactic: Integrate the new electronic Research Administration (eRA) system with existing Financial and Human Resource Systems to eliminate paper used to support dual entry. B. Increase use of virtual meetings to reduce travel and costs and increase efficiency. C. Evaluate additional energy efficiency efforts with data centers, equipment purchases, and data storage options. Accelerate a culture of sustainability, inclusivity and well-being on campus and in the community. Sustainability becomes part of NC State’s culture as more people champion sustainability efforts at every level of the university. The greater the involvement, the greater the impact -- both on campus and in the community. 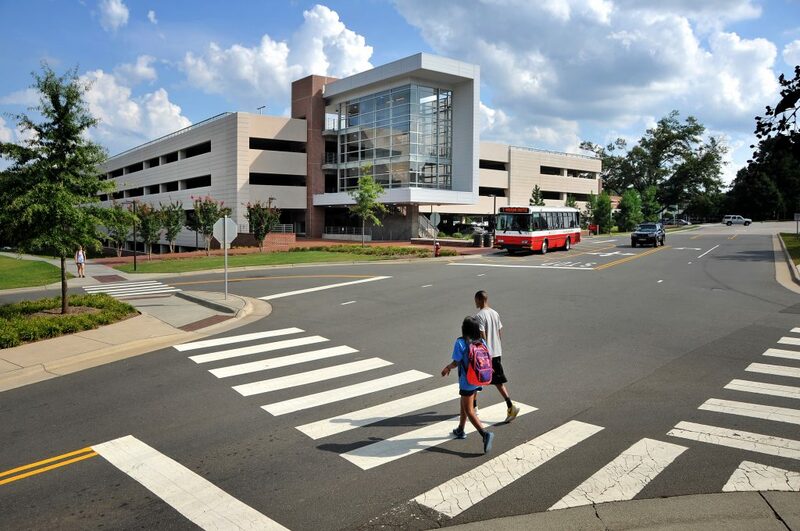 NC State’s integration of sustainability into university planning, decision-making, and operations exemplifies sustainability leadership and contributes toward continued economic, environmental, and societal prosperity. This goal contributes toward the university’s fifth strategic goal of enhancing local and global engagement through focused strategic partnerships while also contributing toward enhanced student success, which is the university’s first strategic goal. Help advance these goals by joining the Sustainability Council's Community and Culture Working Group. The following strategies and objectives support the Community and Culture goal. Specific tactics that are being implemented during fiscal year 2018 (July 1, 2017 – June 30, 2018) are also listed. Strategy 1: University leadership will actively promote, encourage, and celebrate a culture of sustainability. A. Encourage division and departmental ownership and action to make sustainability accessible to the entire campus community with the expectation that all programs and events incorporate sustainability. Tactic: Certify Chancellor events as sustainable to set the example and create the baseline for future years. Tactic: Certify signature Wolfpack Welcome Week events as sustainable. Tactic: Certify campus departments as sustainable workplaces to create the baseline for future years. B. Establish a coordinated NC State annual sustainability theme to promote awareness and action across all campus units and to be incorporated into the curriculum to brand the university as a sustainability champion. C. Infuse an institutional commitment to sustainability in all aspects of campus and community life such as programming, event planning, transportation to meetings, everyday language, and orientation and hiring processes. Tactic: Design and pilot training that encourages the campus community to lead by example in sustainable actions. Tactic: Determine an instrument for measuring sustainability significance to faculty and alumni as counterparts to the incoming student and staff wellbeing surveys. Tactic: Determine strategies to include sustainability into employee onboarding such as through a leadership video (coordinate with Communications). D. Create incentives for all campus stakeholders to embrace and celebrate sustainability and to establish clear accountability methods and standards across departments and programs in order to ensure compliance. Tactic: Establish the annual Celebration of NC State to include university leadership participation and expand the Green Brick Awards. Tactic: Evaluate a sustainability award category for exsisting campus award programs. E. Enhance and/or create campus traditions that encourage sustainable change through personal or team challenges. Tactic: Certify Student Government traditions events as sustainable to create the baseline for future years. F. Include sustainability as part of university campaign and top-level fundraising priorities and strategies so that funding is secured for student high-impact experiences, undergraduate research, awards, curriculum development, scholarships and grants, programming, immersion experiences, residence life, and research seed funding. Tactic: Create relationship between the Sustainability Council and University Development. G. Explore how to scale and replicate our work and lead across the University of North Carolina system and the state. Tactic: Create relationships among Raleigh higher education institutions. Tactic: Present best practices at sustainability conferences. Strategy 2: Embrace and demonstrate an expanded definition/ vision of sustainability that pursues improvement of the human condition, respect for all members of the community, social justice, diversity and inclusion, work-life balance, workplace and campus safety, and wellness. A. Develop and implement a social and environmental justice narrative for NC State so that as, a campus community, we acknowledge and embrace a culture of inclusion. Tactic: Research and document current campuswide efforts that include environmental and social justice. Tactic: Include sustainability programming in Diversity Education Week. Tactic: Provide programming for campus that illustrates a broader vision of sustainability. B. Integrate concepts of entrepreneurship and social innovation into our understanding of sustainability and encourage areas of related research and practice. Tactic: Integrate social/sustainability category into major entrepreneurship competitions. Tactic: Align Well Wolfpack certified organizations and sustainable workplace certifications. C. Collaborate with and support the efforts of the University Wellness Task Force to create and maintain a culture that supports and promotes the overall wellness of NC State students, faculty, and staff. Strategy 3: Develop the connective tissue with our campus and Triangle community in order to bridge our collective vision to “think and do” as we address society’s grand challenges. A. Develop a thriving network/community of external partners committed to advancing the university’s sustainability goals and vision. Tactic: Expand NC State’s annual Earth Fair event by inviting new community partners. Tactic: Increase sustainability awareness and education to alumni and community through sporting events. Tactic: Collaborate on projects with the City of Raleigh and cross-promote sustainability events. B. Facilitate communication and engagement with external stakeholders to leverage sustainability efforts for larger collective impact, such as intentionally sharing knowledge and resources. Tactic: Create relationships with NC State Outreach and Engagement to provide sustainability knowledge and resources to communities. Propel awareness and sustainability at and beyond NC State. Effective communication is foundational for the success of NC State’s Sustainability Strategic Plan. Communication about the plan and its progress will help raise the profile of sustainability, prompting more people to consider their individual and collective impact. Help advance these goals by joining the Sustainability Council's Communications Working Group. Strategy 1: Raise awareness of sustainability at NC State among internal and external stakeholders. A. Incorporate sustainability into the NC State brand. Tactic: Review NC State brand platform and propose to NC State Executive Brand Committee ways to add sustainability into the university brand. B. Gain national recognition for NC State’s sustainability successes. Tactic: Identify sustainability-related award opportunities and ranking systems and strategize ways to boost NC State’s scores. C. Promote awareness of NC State’s Sustainability Strategic Plan. Tactic: Develop roll-out plan for Sustainability Strategic Plan to the university. Strategy 2: Better integrate sustainability communications across campus to improve frequency and consistency of sustainability communications. A. Develop a network of communications professionals across campus to encourage two-way communications about sustainability issues. Strategy 3: Provide communications resources and tools to promote and support sustainability at NC State. A. Develop a messaging strategy and framework for how to communicate about sustainability. Tactic: Define sustainability concepts and messaging. Tactic: Define target audiences. Analyze audiences to develop effective messaging strategies. Tactic: Position and promote NC State’s sustainability website and e-newsletter as the centralized resource featuring all sustainability-related news content created university-wide. 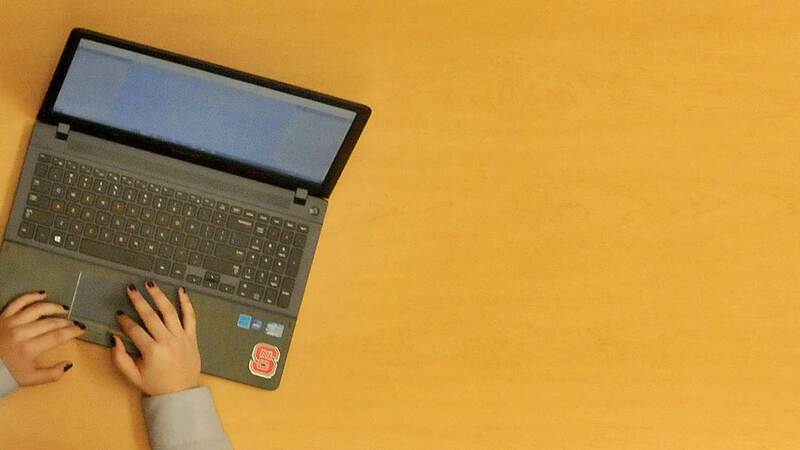 Execute a subscription campaign to boost subscribers to NC State’s sustainability e-newsletter. B. Develop a toolkit for incorporating sustainability into communications. Tactic: Develop a collection of downloadable sustainability icons specific to NC State. Tactic: Develop billboard graphics/templates for recognizing sustainability contributions on campus. Tactic: Integrate information visualization into communication about sustainability concepts and accomplishments. Tactic: Create a repository and promote social media hashtags/handles/trending topics for NC State sustainability-related information and communications. C. Develop a set of sustainable communications best practices for communicators. Strategy 4: Make communications a key part of sustainability planning and execution. A. Identify sustainability programs, projects, or progress that require outreach efforts and/or meet institutional qualifications for promotion to internal or external audiences. Tactic: Embed a communicator on each Sustainability Council working group.